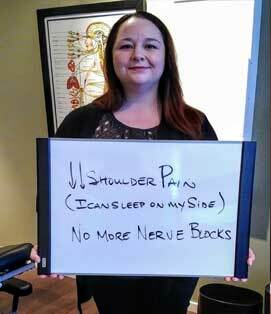 I want to share with you some NON-SURGICAL DIY tips to help with neck pain and back pain relief. Ottawa is filled with people who work at a desk all day long. 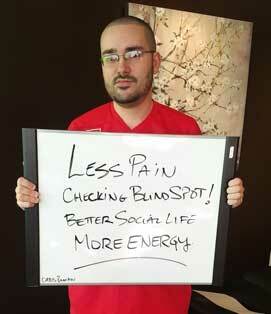 As an Ottawa Chiropractor I see people with neck pain and back pain every day and all of them need back pain relief. Most of it comes from postures they are subjected to while working at the most common job in Ottawa. Even when you are standing that translates into a posture where your shoulders are rolled forward, your head’s forward, your pelvis is dropped forward. That can tend to create this ugly looking tummy that doesn’t actually exist, but it just looks like it does. It’s all about the posture. The first thing we need to stretch are something called “hip flexors”. 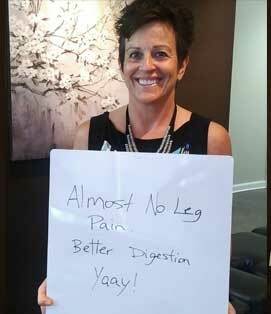 There’s a muscle that goes between your thigh and your spine that gets shortened over time. The first step is to show you how to stretch out your hip flexor. The stretch you’re going to feel is going to be all in through your thigh and into the front of your hip. You may find that as you’re doing this, it’s hard to balance, so you just use the table or a chair beside you. Hold the stretch for 30-45 seconds. 1. Your knee should never drop forward in front of your toes. You want to keep knee over your ankle. 2. There’s a tendency to go rest on your leg by bending forward on your forward leg. Although that seems appealing, it tends to round out the back, and actually leads to more back problems. You’ll notice that as you do this, not only is it a good stretch, but your opposite leg is going to really burn as well! The next stretch is to stretch out your “glutes”. Start from a seated position. Before we bend forward, really the first step is to lengthen your thoracic spine. Take one leg and you’re going to cross it over the other as though you would casually sit on a chair. Bend forward, but don’t bend forward by rounding your back out. Hinge at the hips. Lift up your rib cage, keep your head straight, and just start to bring your chest down towards your leg. I want you to hold that for 30 to 45 seconds each time. Come up slowly, keeping your back straight. The best time to do this is after you’re already warmed up. 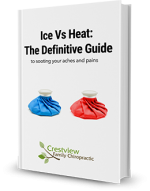 Generally speaking, it’s not a good idea to do any kind of stretch on a cold muscle. You’re asking for more injuries. Next is a very simple “bridge” exercise to tone your “glutes”, as well as your lower back. Start on your back, activate (flex) your glutes and bend your knees to a 90 degree angle, keeping your knees together. Raise your bum right up off the table. That strengthens the glutes and the lower back. You can hold that for anywhere between 10 and 30 seconds. You can do ten, fifteen repetitions, until you start to feel like your muscles have been activated. The last exercise I’m going to teach you is actually how to pull your shoulders back. If you’re seated at a computer and your head is forward, and you want to start pulling your head back, you will quickly realize that you can’t just pull your head back because your shoulders are pulled forward, blocking your head from being pulled back. The first step in getting your head pulled back, is actually to get your shoulders pulled back. Only then, are you able to correct the posture in your upper spine. To do this you will need to master the “Y-T-W” exercise. The first exercise is to lay on your belly and make the letter “Y” with your arms. Pull your arms up off the floor which will pull your shoulder blades together. That’s the letter Y. Now you can move that down to a letter “T”, squeezing the shoulder blades together and lifting the arms up as high as you can without overextending it too much. Then, pull down into a letter “W”. When you pull the letter “W”, the arms come down. That’s pulling the bottom of your should blades together. Hold each position for up to 10 seconds. If you find The Y-T-W too much of a challenge, you can try something called “Superman”. “Superman” is when the left arm goes up and the right leg goes up. What I don’t want you to do is raise your leg so high that you’re compressing your lower back. What I want you to do is just raise it up a little bit and then point your toe. Imagine you are reaching for the wall in front of you and reaching for the wall behind you. Now you are activating all of the muscles from your shoulder, down through the spine and into the leg. These DIY tips for neck pain and back pain relief are approved by your Ottawa Chiropractor, Dr Paul Groulx! Here’s what I’d like you to do next. Share this blog post and the video with people that you think might benefit so they can see the content and get the help that they need. The other thing you can do, leave your questions in the comment section below, and I will answer!